China has approved RMB 380 billion (US$55.2 billion) worth of tax cuts for businesses and individuals, according to a State Council statement on April 19. The new tax cuts are part of a bid to boost economic growth by reducing the tax burden on businesses and encouraging consumption. The tax cuts simplify the value-added tax (VAT) system, reduce rates for small and medium sized enterprises (SMEs), offer incentives for certain industries, and increase health insurance deductions. The measures follow Premier Li Keqiang’s pledge in the annual Work Report in March to cut corporate taxes by RMB 350 billion (US$50.7 billion) and business fees by RMB 200 billion (US$29 billion) in 2017. The tax relief package is the first since China completed its VAT reform last year, and comes as the economy is forecast to slow in the latter half of 2017. Given the depth of recent tax reforms, business leaders should consult professional guidance to ensure tax efficiency and compliance. The number of VAT brackets will be reduced from four to three as of July 2017. As previously reported, the government will eliminate the 13 percent tax bracket, leaving only the 17 percent, 11 percent, and six percent brackets. All products previously part of the 13 percent bracket will become part of the 11 percent bracket, namely: cereals and edible vegetable oils; tap water, heating, cooling, hot water, coal gas, liquefied petroleum gas, natural gas, methane gas, coal/charcoal products for household use; books, newspapers, magazines (excluding newspapers and magazines distributed by the Post Department); feed, chemical fertilizers, agricultural chemicals, agricultural machinery and plastic covering film for farming; agriculture, forestry, products of animal husbandry, aquatic products; audio-visual products; electronic publications; dimethyl ether; and edible salt. China completed its major VAT overhaul last year, essentially eliminating the business tax (BT) that previously applied to a number of industries. 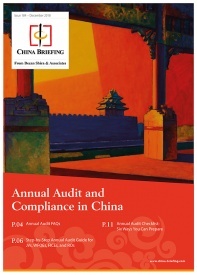 The comprehensive introduction of VAT reduced tax payments by an estimated RMB 570 billion in 2016. Tax cuts for low-profit enterprises have been extended to a wider range of companies. 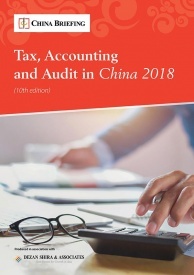 Enterprises with an annual income of RMB 500,000 (US$72,625) or less are eligible for a preferential corporate income tax (CIT) rate of 20 percent applied to only half of their taxable income, up from the previous cap of RMB 300,000 (US$43,575). The standard CIT rate is 25 percent on all taxable income. The measure is valid from January 1, 2017 to December 31, 2019. The measures also increase pre-tax deductions for SME tech firms from 50 percent to 75 percent for R&D costs incurred from the development of new technologies, products, and techniques. The expanded deductions are also valid from January 1, 2017 to December 31, 2019. Furthermore, venture capital firms in certain regions can benefit from taxable income deductions on 70 percent of tech firm investment at the seed stage, the initial setup stage of a new business, as of January 1, 2017. Investments made up to two years prior to this date can also apply for this benefit. The eligible regions are Beijing, Tianjin, Hebei, Shanghai, Guangdong, Anhui, Sichuan, Wuhan, Xi’an, Shenyang, and the Suzhou Industrial Park. Individuals nationwide will enjoy expanded tax cuts for commercial health insurance, with an upper limit on deductions of RMB 2,400 (US$350) per person, leaving individuals extra money for consumption. In addition to the new tax cuts, the State Council is extending a package of cuts that expired in 2016 for three more years. This extended package includes tax breaks for university graduates starting new businesses, VAT exemptions for interest on income derived by financial institutions from microloans to farmers, and 50 percent tax cuts to Urban and Township Land Use Tax on bulk commodity warehouse facilities owned by logistics enterprises. The slew of tax cuts, coming on the heels of a year of significant tax reform, is a positive sign for businesses and is expected the boost the economy. Although China’s GDP grew at a faster than projected 6.9 percent in the first quarter of 2017, analysts expect the pace to drop off later in the year as other stimulus measures run out of steam and officials try to rein in the booming property market. 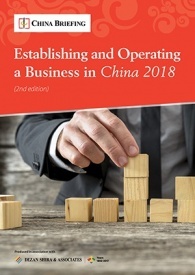 Given the essentially complete transition from business tax to VAT, overhauls to the VAT system are of note for all businesses operating in China. In particular, the amalgamation of the 13 percent bracket into the 11 percent bracket is a boon for any business involved in the former. For unaffected sectors, the move can be seen as a starting point for simplifying the newly ‘completed’ VAT system, as the 13 percent bracket applied to fewer products than the other brackets. Meanwhile, many of the other tax breaks target small enterprises and tech startups. China’s comparatively high taxes and business fees can put a squeeze on small firms and startups, especially as the pace of growth slows. But supporting tech startups is part of China’s strategy to foster a more innovative economy and move up the value chain. That being said, many of the cuts also target farmers, low-income businesses, and other vulnerable elements of society. Appeasing these potentially restive groups is important for Chinese President Xi Jinping to ensure stability ahead of the fall’s 19th Party Congress. However, other tax reforms hotly anticipated by many Chinese citizens, namely individual income tax and property tax reform, seem unlikely to be carried out in 2017. Many Chinese citizens are eagerly awaiting an individual income tax system better suited to China’s new economy, and are calling for curbs to unaffordable property prices. In addition to the new tax cuts, China has a number of pre-existing tax incentives at both the national and regional levels. For instance, high-tech companies across China enjoy a preferential 15 percent CIT rate, while Guangdong, for example, has its own high-tech incubation fund to attract investment. 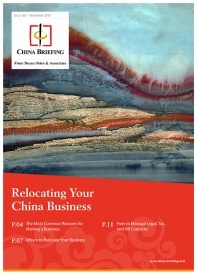 Foreign investors are advised to also take into account incentives at the local level when establishing operations in China to maximize stimulus and minimize tax exposure. 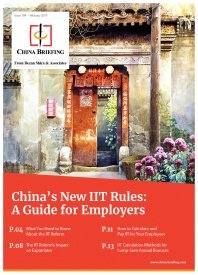 In this issue of China Briefing magazine, we lay out the challenges presented by China’s payroll landscape, including its peculiar Dang An and Hu Kou systems. 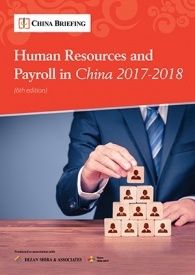 We then explore how companies of all sizes are leveraging IT-enabled solutions to meet their HR and payroll needs, and why outsourcing payroll is the answer for certain company structures. 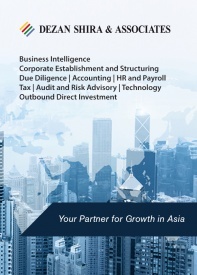 Finally, we consider the potential for China to emerge as Asia’s premier payroll processing center.